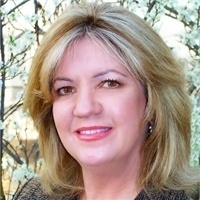 Donna M. Stevenson has enjoyed being an Independent Wealth Manager in the Motherlode since 1997. Donna's 25 year background in the Financial Industry provide her with knowledge and experience necessary to service your financial needs. She believes "Knowledge is Power" . Donna takes the extra time to provide her clients with the necessary information to make informed decisions about their investments and financial future. She understands the unique needs of the residents in the Motherlode and strives to provide exceptional service and individually tailored investment plans. Donna is committed to helping people and enjoys giving back to and being involved in her community. She is past President the Angels-Murphy's Rotary and a current board member. She is past President of the Angels Camp Business Association and a current board member. In keeping with her community service involvement she has been actively involved in local events; Taste of Calaveras, Taste of the Holiday, Goldrush Day, Festival of Trees to name a few. Outside of her dedication to her community, Donna enjoys experiencing all the Motherlode has to offer, boating, whitewater rafting, fishing, golf, wine tasting and gardening.